The best way to learn a craft is to hang out with the masters. That’s the premise behind the Los Angeles Music Academy’s Drummer’s Reality Camp, where aspiring drummers of all ages get the chance to learn directly from renowned drummers during four days of intense instruction, clinics and concerts each year. At a roundtable discussion during this year’s camp, Neil Peart of Rush, legendary session drummer Jim Keltner (who has played with three of the four Beatles, Bob Dylan, Dolly Parton and Neil Young, among others), and Doane Perry of Jethro Tull examined the attributes of good drumming and the importance of going beyond drumming to master songwriting, penning lyrics and playing other instruments. 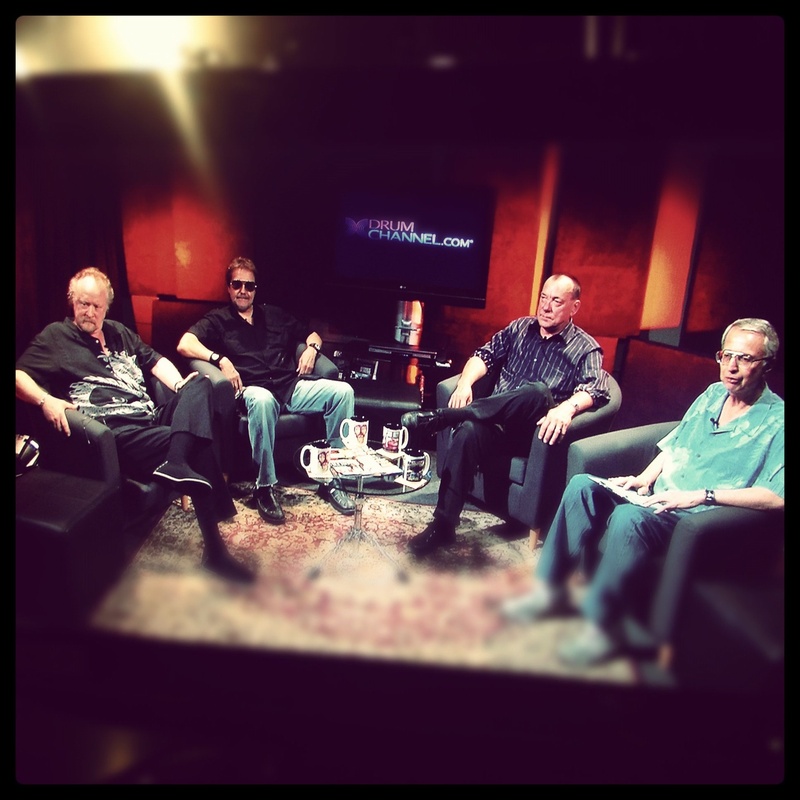 Don Lombardi, president of DW Drums and chief executive of drumming instruction website DrumChannel.com, led the discussion, which took place at the Drum Channel’s Oxnard soundstage. “I look at a drum set and it’s like a large playground for me,” Keltner told the enthusiastic audience, which included drummers as young as 12 and renowned sticksmen Gil Sharone and Uli Frost. Peart, who’s not only known as one of the best drummers in the world but also writes all of Rush’s lyrics, said that he sees several parallels between playing drums and writing lyrics. “I started writing lyrics early on,” Peart said. “Words are as rhythmic as drum phrasing.” Peart is also a renowned author who has published several books. But he admitted that he didn’t feel confident enough to publically share his prose writing for nearly two decades. “I bought a typewriter in Little Rock, Arkansas and spent the next 20 years writing before I published anything,” he admits. Peart said that he has found exposure to music from around the world during his international travels to be particularly inspiring. “I’ve found so much richness in the music of other cultures – most recently Brazil,” he said. Peart seemed a little more skeptical, pointing out that being a rock drummer is even more challenging these days than it was when he was starting out 40 years ago, because a lot of today’s popular music is dominated by electronics and drum machines.